The entrance to the apartments at the Athaneam apartments. The best family-friendly hotels are typically found in South London, which has abundant green spaces and green grocers and is close to tourist attractions. Central London is pricier, but also close to attractions. North London is slim pickings. Here are our parent- and kid-approved favorites. It has a rooftop pool. Enough said. And it's near Hyde Park, Harrods, and Yo Sushi! at the top of Harvey Nichols. One of the on a quiet square steps from Brompton Road, Hyde Park, and Beauchamp Place. Bonus points for the life-saving Pizza Express nearby. Kids will love the pomp and circumstance - porters in top hats, high tea in the overly chintzy dining room - at this Kensington classic. Hyde Park, the Natural History Museum, and the hotel's subterranean, small pool are all welcome escapes on the occasional hot, summer day. Don't miss the comprehensive breakfast spread at Cheneston's where proper sausages, "soldiers" and baked tomatoes are served in a particularly English setting. This elegant property sits opposite Kensington Palace and puts you in striking distance to the Princess Diana Playground, Buckingham Palace, and the kid-centric Science Museum, as well as the mega Whole Foods on Kensington High Street. Enjoy the breakfast feast on the patio and head across the street to Wagamama for lunches of family-friendly ramen served at communal tables. Spacious second floor suites with separate sitting areas and park views are ideal for families. Breakfast at The Baglioni. Photo courtesy of The Baglioni Hotel. 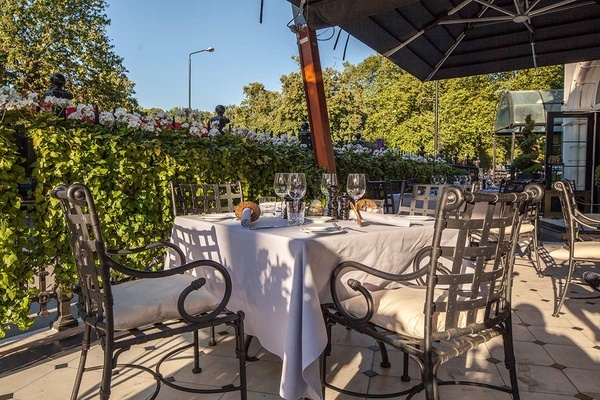 An 82-room boutique hotel perfect for exploring the shops of Bond and Regent Streets as well as the London Zoo in beautiful Regents Park. Even better, it's very affordable, especially considering the neighborhood. Kids will love burgers in the lobby Brasserie or afternoon tea in the library at this modern, somewhat hidden gem (which you'd call a "bolthole" if you were trying to be British about it). 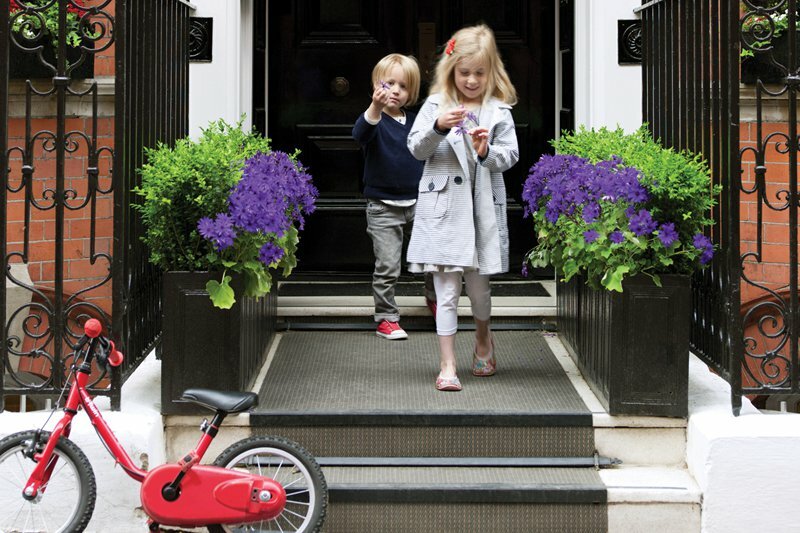 A family-owned hotel sandwiched between Hyde Park and Green Park and known for it's family-friendliness, down to the special kid's concierge and nannies on staff. The hotel will stock your room or apartment with kids' favorite drinks. Age-appropriate diversions range from kites, bikes, and frisbees to movies and PlayStations. For infants, organic baby food, Baby Einstein DVDs, and disposable diapers are all available. The pool at The Berkeley Hotel. When it comes to kids, few do it better than the Four Seasons, and this newly refurbished hotel is no exception. Perfectly located near Hyde Park, kids will love the ease of access to playgrounds, ponds, and paddle boats in warmer months. Winter Wonderland, a cheesy and terrific London highlight filled with games, rides, and general holiday cheer, runs from November to January and is literally across the street. The top-notch concierges can arrange everything from horseback rides to proper high tea complete with cucumber sandwiches and sweet scones with clotted cream. Well located near Trafalgar Square and Covent Garden, this grand (almost ridiculously so) new hotel is great for exploring The Crown Jewels at Tower of London, The London Eye, and a truly terrific Aquarium. River suites offer separate spacious sitting rooms as well as sweeping views of the Thames. With more than four restaurants to choose from, kids and their discerning parents can feast on everything from Cumbrian beef burgers and crisp chips at to fresh shellfish at . Photo courtesy of The Corinthia London. Location, location, location. This one isn't full of charm, but it is perfectly placed for exploring the charming shops and restaurants of this North London area. Don't miss nearby Little Venice, an area full of houseboats and local color. If you're looking for more true Brit, is just down the street. After a decade-long renovation, this massive Victorian gem has great family accommodations. High ceilings and ornate moldings recall the past; free WiFi and spacious rooms are modern comforts. 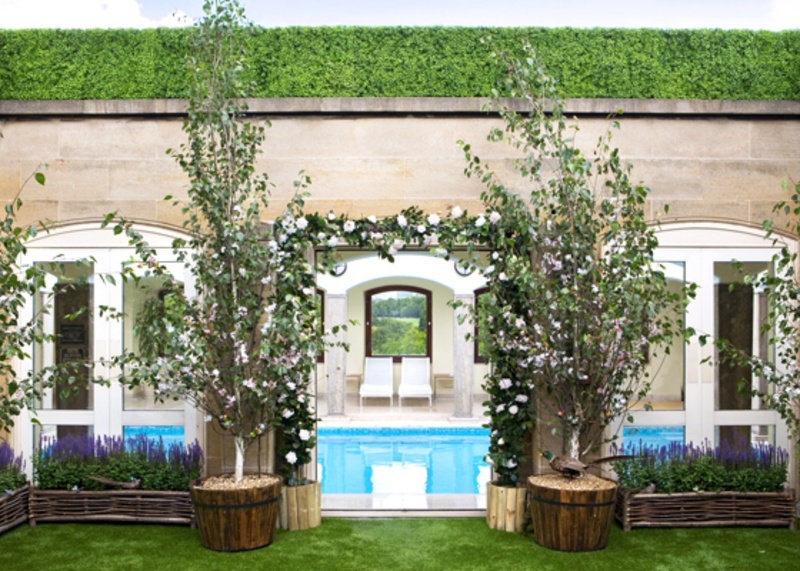 Bonus points for the subterranean swimming pool and the fact that you're literally seconds from the Eurostar which departs from St. Pancras Station. It's a Marriott, which means you can use your miles on the rates. Just know that rooms in the older building are superior to those in the new wing. Slightly mod, low-key, and absolutely well-placed near Chelsea Green. A delicious breakfast spread, proximity to great restaurants for kids (conveyor belt sushi at Itsu, perfect steak frites at La Brasserie), and St. Luke's playground are all es. This one has family rooms — a rarity in the UK and Europe — where four can fit semi-comfortably. Well-situated to Peter Jones (department store where you'll inevitably end up after having forgotten some key piece of equipment) and the King's Road. Proximity to the Duke of Yorks Square add to the appeal. What it lacks in charm, it more than makes up for with its killer location on Hyde Park and sleekly appointed rooms. One of the more modern hotels in this residential area, it offers rooms designed for families (interconnecting options, larger suites) as well as the top floor Min Jiang restaurant. With enormous, panoramic views overlooking the park and excellent dim sum and craft cocktails, the restaurant alone is worth a detour. Find restaurants, shops, itineraries, and things to do in our London Guide.